Tis better to give than to receive. We’ve all heard it. We all believe it. Hence my immeasurable uneasiness being on this side of the table. Most of our marriage, we didn’t have a lot. But we always had enough. Now here I am, where I am. Financially, my situation is not ideal. But as always has been the case…we have enough. And when big expenses arise, somehow everything has worked out. Worked out for the most part, because of good, kind, generous people. It is overwhelming to be on this side of all the good. Receiving is a push and pull of painful gratefulness. Accepting gifts, and “help,” is so much harder than giving. Why does it have to be so? Is it my pride? Is it a quiet shame that I’m in this situation? Is it the fact that somehow we do have enough to get by right now, so accepting help seems selfish? I’m very aware that there are families out there who don’t know how they are going to feed their children tonight. Why am I on the receiving end of such miracles? Whatever it is…it is hard. (First world problems, right? Man, I sound like such a brat.) I don’t want to say I need help. We can do this. We ARE doing this. But the fact remains; we are doing so well because of the help of good people in the world. It started with a fundraising page set up by friends in the DOC. They raised an outstanding amount of money for our family to put into a special account for Ryan’s medical bills, and other things our family stood in need of. I won’t even go into all the gifts, cards, letters and love sent in the mail last summer. Suffice it to say, it was crazy generous. After Ryan passed, right off the bat a local charity called to offer assistance. Ryan made the desserts every year for their big gala to raise money for local families in need. Now here we were…THE local family...they paid our mortgage for the last 6 months to help us get on our feet. Another local organization had a fundraising night for our family. 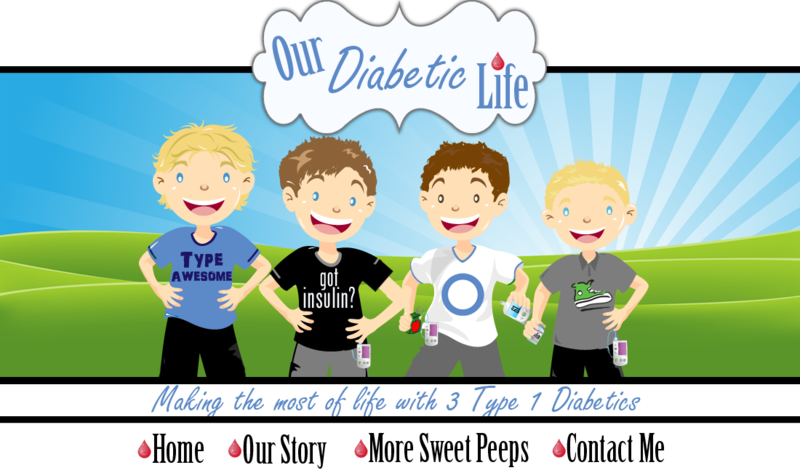 Along with raising money, they raised awareness about Type 1 Diabetes. The women in this group are such a gift to our fair city. They encircled me with love and friendship, and showered us with gifts. I can’t even convey the goodness that was in that room that night. And they aren’t the only anonymous people sending help. We’ve received more financial help, gifts and letters than I can count. I can’t tell you how many boxes of diabetes supplies we have received. Sure, maybe some of that was overflow for these families…but the cost of sending those boxes? I can’t even wrap my head around it. Just today, the oral surgeon who is taking out my son’s wisdom teeth said he was giving me a 50% discount. WHAA? He said he was made aware of our situation and wanted to help. I believe he was probably made aware from our Orthodontist who has offered an obscene amount of work at no charge. My mother in law feeds our family 3 nights a week. My parents every Thursday. I barely cook. I have local friends that bring flowers to me on birthdays and anniversaries. Who leave trinkets on my doorstep, "just because." Friends that take me out to dinner and movies when they know I need someone to talk with...laugh with. Friends who's husbands offer help...to fix things, to take my boys to the father son camp outs, to take my baseball fanatic to the park to play catch. I’m just throwing that out there too. The generosity is an iceberg my friends. I’m showing you some of it, but under the surface it is bigger. Wider. Amazing-er. I thank the good Lord every night for the people he has brought into my life. That includes you. All your emails, with love, support and “same” warm my heart. I haven’t been able to reply to all of them, but know my heart is bigger because of them. The emotional component in all of this is huge. Friendship has changed everything. It helps me stay hopeful...and you all know I thrive off hope. Move over swelly brain. My swelly heart is taking over. Also, (insert dramatic drum roll,) this is “Our Diabetic Life’s” 500th post. When I started 4 years ago I never dreamed it would turn into what it has today. 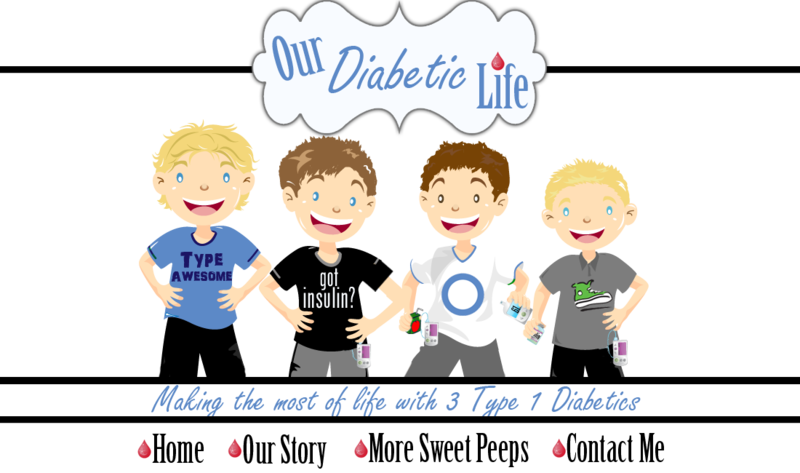 It is crazy to think what a blessing it is to have three boys with Type 1. (Yeah, I just wrote that.) 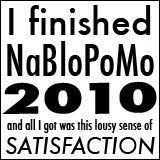 If I didn’t…I may never have started this blog. And if I never started this blog, the last year would have been very different for our family. Did you know you made all the difference for us this past year? Your love and words of support got me through it. Got US through it. There is no way, ever, I could repay what this blog, and the people who read it have done for me. No way. And in the spirit of trying to be more humble: THIS. We love you, Meri! You, your boys, Lawton, and Ryan. Love for all the Shuhmachers! What you sow, you shall reap. You are good people, Meri. Let the people who can, take care of you. We are new to this life with D and I can't begin to tell you how much your blog has helped me. But more then that on a personal level. There have been times when your posts spoke to something in my soul and helped in ways I didnt know I needed help. You are a joy to others Meri and and you deserve to be blessed. Happy 500th post, I'm glad you are feeling loved and supported! Awesome! 500, that's special, what is even more special is the lives you have touched, the people you have helped and the courage you give others. A couple of years ago you messaged another d-mom going through a second diagnoses, that really meant a lot. Thanks for all you do and sharing your heart with all of us. Happy 500 from me & my lil Meri :) You & the boys inspire us daily with your openness, you honesty and your hope! AWESOME!!! Thanks for sharing about all the amazing people in your life!!! What an amazing Godly gift these people are!!! God Bless you and your family!!! Don't know you... but I'm gonna guess you deserve it. Everyone deserves everything we can do for them ever. It's just easier to do things for others when someone is so nice and giving themselves to begin with. Don't worry-- you'll get a chance to pay it forward. If you haven't already. Congratulations on your 500th post and can't wait to read 500 more! You do know that you give wayyyyyy more than you are getting, right? That you give us all so much joy, so much laughter, so much inspiration? Because you do. And we, out here in the world, are humbled to accept THAT! So happy for your 500th post - congratulations! That is no small accomplishment. You are so much more "amazing-er" than you know, but that is part of your amazingness! Now my heart is all swelly too, tears in my eyes! Im so happy to hear you continue to have all this support,generosity and love surrounding you. A true blessing, certainly you DO reap what you sow. Happy 500th post Meri!!! MMMMMmmmmmeeeeerrrrriiiiiiii, oh sweet MMMMMmmmemmeeeerrrrrriiiii. Your swelly heart touched mine and squeezed it so hard it caused my eyes to swell and tear. YOU are a blessing to me. Thank you for sharing your blessings so others could better accept theirs, and be moved to offer grace and assistance to others. So happy to hear how you have been blessed by those in your local community, family and on-line community during this difficult years. Always impressed by your writing. Hope you and your family always in good condition.